Absolutely perfect holidays – truly amazing! 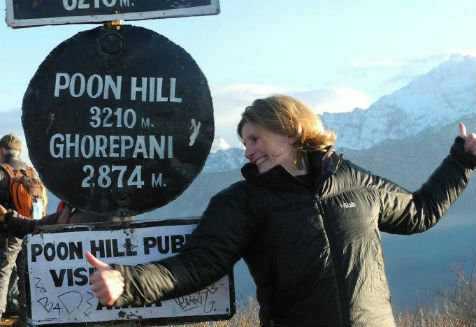 I have taken several trips with Live the Adventure now to; Sweden, Bhutan and Nepal. 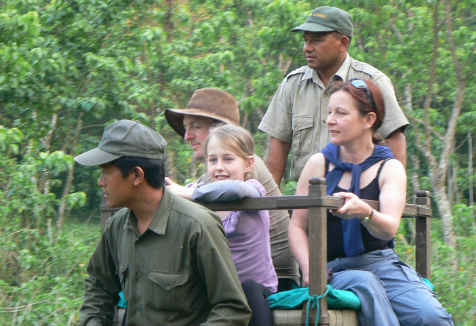 They have trips of a lifetime perfect for 1st timers, families and more serious adventure travellers alike. Not only do Live the Adventure take thorough care of your ground logistics pre-trip and in-country, the incredible relationships they have spent years nurturing on the ground mean that you get a truly unique experience of the best of what these amazing countries have to offer, at a level that other travel companies find hard to match! An incredible trip! Live the Adventure’s Sea Kayaking and Seafood Safari is a wonderful escape from the reality of our busy lives. Stunning landscapes, deserted islands, top notch equipment, amazing food, especially if your lucky enough to catch some fresh sea trout, oysters, crab and lobster and the weather made it perfect. If you love the outdoors you will love this holiday, camping on beautiful islands which you have all to yourself to relax, watch the wildlife and admire some of the best sunsets you will see. Don’t worry about fitness levels or kayaking ability, the Live The Adventure staff always keep a watchful eye over you– just do it! A trip of a lifetime! Hidden away in the eastern Himalayas, Bhutan has been shrouded in mystery for centuries and off limits until 1974, one of the reasons why myself, my wife and our friends wanted to visit it. 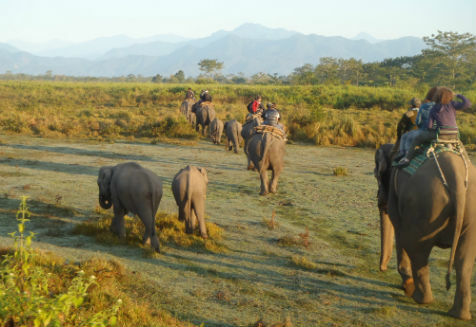 Although independent travel is not allowed to this extraordinary country, Live the Adventure provided us with an unforgettable insight into a world so unlike our own. As part of a multi-activity experience, we were able to immerse ourselves in this country’s preserved culture, culinary gastronome and pristine adventure playground, by foot, mountain bike and raft. 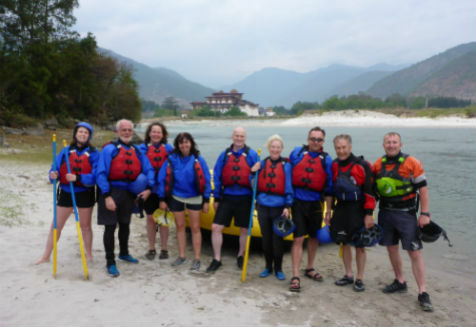 Our bespoke itinerary was aimed at a beginners level of ability with the option to bike as often or little as you like and offering rafting suitable for complete novices. The guiding was perfect, Karma’s knowledge of the environment was detailed and informative, he found hidden places and wonderful adventures. Not just for outdoor fanatics, the trip was also a culinary and epicurean delight, our wedding anniversary was celebrated in a remote village by the baking of a fresh cake! The trip lived up to all of our expectations – thank you so to all the Live the Adventure team! The trip to Bhutan was a tremendous experience. We visited some of the best known sites but also travelled to areas of the country very few visitors get to see. We felt very privileged to be white water rafting and trekking in such special and quiet areas. Ant has an excellent network of local contacts – our local guides were very professional, friendly and fun and gave us a great insight into Bhutan’s culture. 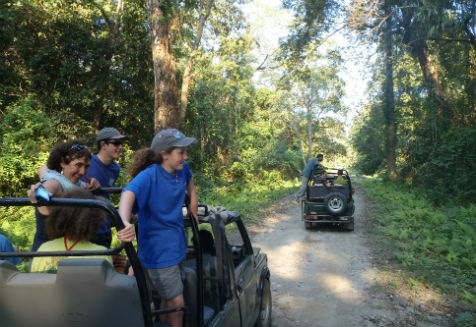 ”We were delighted with the way that Live The Adventure were able to accommodate us as family, and make us feel part of a real team adventure. It was great to feel that we were all “in it together” – adults, children, leaders, guides, raft crew and even the bus driver. 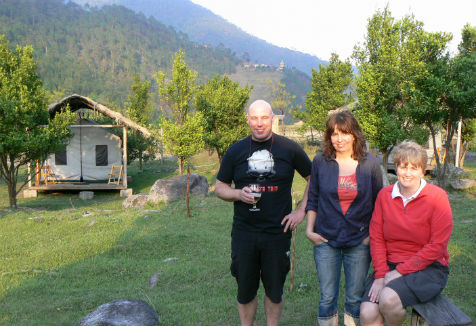 Bhutan’s a very special place, and Live the Adventure helped us to be more than just tourists. 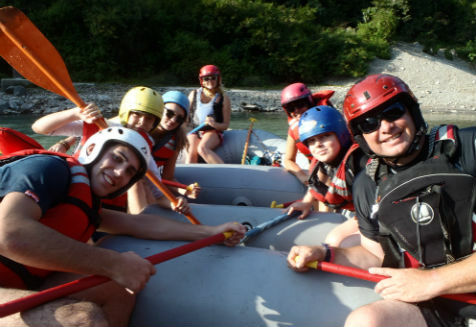 The paddling and rafting combination allowed us to both stretch our abilities at times when we wanted without feeling pressured yet also to slip into “river time” and simply enjoy the magnificent surroundings in good company. 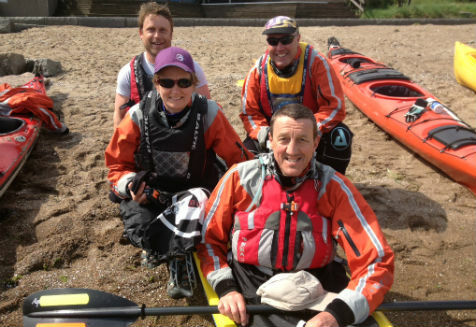 Being able to jump the less confident paddlers from boats to raft when needed made it much more fun all round”. Well, I’m back after the most amazing fortnight trekking the Himalayas, rafting the Trisuli river, riding elephants and stalking rhinos in Chitwan and drinking a fair few Rum cocktails in Kathmandu. Huge thanks to lovely Holly Wagstaff who organised the best trip ever!